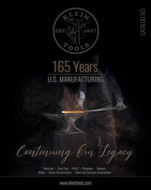 May 21, 2018 (Lincolnshire, Ill.) – Klein Tools today announced new results from its annual “State of the Industry” survey, with input from more than 800 union and non-union electricians. Survey results highlight when and why millennials are entering the industry. The results also explore how employers can attract the next generation to the trades in order to end the labor shortage that our nation is facing today. 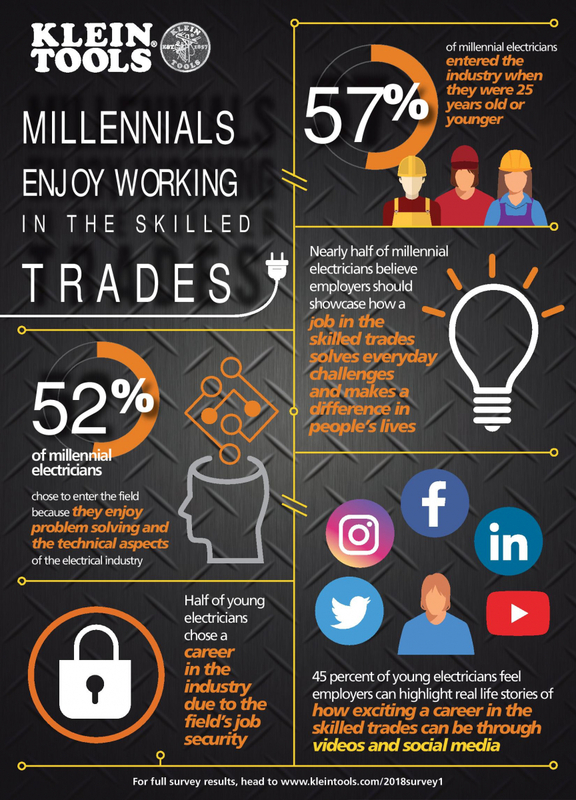 52 percent of millennial electricians chose to enter the field because they enjoy problem solving and the technical aspects of the electrical industry. Half of young electricians chose a career in the industry due to the field’s job security. This generation of electricians also sought out an electrical career because they prefer to work with their hands. In order to change the perception of what a career in the trades entails, employers need to showcase the many benefits skilled trade jobs offer to the next generation. Nearly half of employers offer apprenticeship opportunities; however, millennial electricians believe employers can do more to recruit the next generation. 45 percent of young electricians feel employers can highlight real life stories of how exciting a career in the skilled trades can be through videos and social media. Millennial electricians also believe employers should feature the high-tech skills required for the job and the flexibility a career in the trades offers. For more about the survey results, please visit: www.kleintools.com/2018survey1.